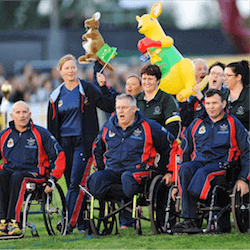 From a field of almost 80 nominations, Australia has selected 53 athletes for the national squad to compete in the third Invictus Games in September. The 53, all serving or former military personnel who are also injured, wounded or ill, won their places in tough selection trials held at the Australian Institute of Sport in Canberra in January. The squad returned to the AIS for a training camp in the second week of March, and have developed an active social media campaign online. More and more Australian punters are becoming aware of the Invictus Games, first launched in 2014 at the instigation of the UK’s Prince Harry. Inspired by the USA’s Warrior Games honouring wounded veterans, the prince launched a tournament similarly featuring adaptive sports for military personnel with disabilities in London’s Queen Elizabeth Olympic Park on 10 September 2014. It featured 13 nations; by the second Invictus Games, the total had grown to 15. They were held in Orlando, Florida in the USA last year, and Prince Harry was joined at the opening ceremony by then-First Lady Michelle Obama and former president George W. Bush. Almost 500 competitors, all of them invitees from countries that have stood alongside the UK in recent conflicts, participated in the unconquered spirit of the games, celebrating a proudly shared military history. The third edition of the Invictus Games will run from 23-30 September in Toronto, Canada. Australia has the honour of presenting the fourth Invictus Games, in Sydney next year. Australia’s sports betting community will find lots of wagering action online relating to individual athletes among the Invictus Games’ track and field events, swimming, indoor rowing, archery, road cycling, golf, wheelchair rugby, powerlifting, wheelchair tennis, sitting volleyball, driving challenge and wheelchair basketball. However, this isn’t the sort of event you follow for national bragging rights. In fact, the Invictus Games does not publish a national medals table, although obviously athletes are competing for bronze, silver or gold in each individual event. Australia Drop Rankings in the Paralympics Despite their inspired performances on the first two days, team Australia have dropped out of the top ten to number 11 on the medal …. 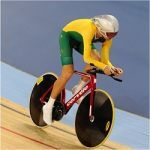 Sports Guide to the Paralympics You might not know it, but over the years, Australia has won more medals at the Paralympics than at the Olympic games. Since 1984, the ….